Sometimes a great recipe starts with an idea and just evolves - add a little of this or a bit of that The Italian sauces I used to make followed the no-measure method. Sometimes they were wonderful and other times - very forgettable. One day, after years of this hit-or-miss method, I decided to write down each measured ingredient. The result was a wonderful sauce which I could duplicate a thousand times. I could increase or decrease the quantities in the recipe and have the same great results. I could also vary the recipe to accomodate other ingredients and still keep the essence of my wonderful sauce intact. What a concept! In all my years of cooking, however, I still make mistakes and adjust recipes when they don't turn out well. Turkey Tacos was no exception. 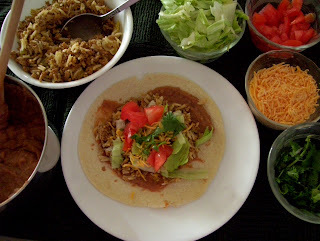 The day I made Turkey Tacos with the homemade taco seasoning from post #105 - I measured and blended accurately, but I had not put the seasoning to the taste test. IT WAS WAY TOO SALTY! (Post #105 has since been adjusted). I just could not make myself throw out all the expensive meat, so I decided to add ingredients to lessen the effect of the salt. In came the cooked rice, a can of green chilies and sauteed onions. The result was wonderful. Not only was the intensity of the salt decreased, but the filling for the tacos was heavenly. The additions also stretched the pound of turkey meat even more than expected. 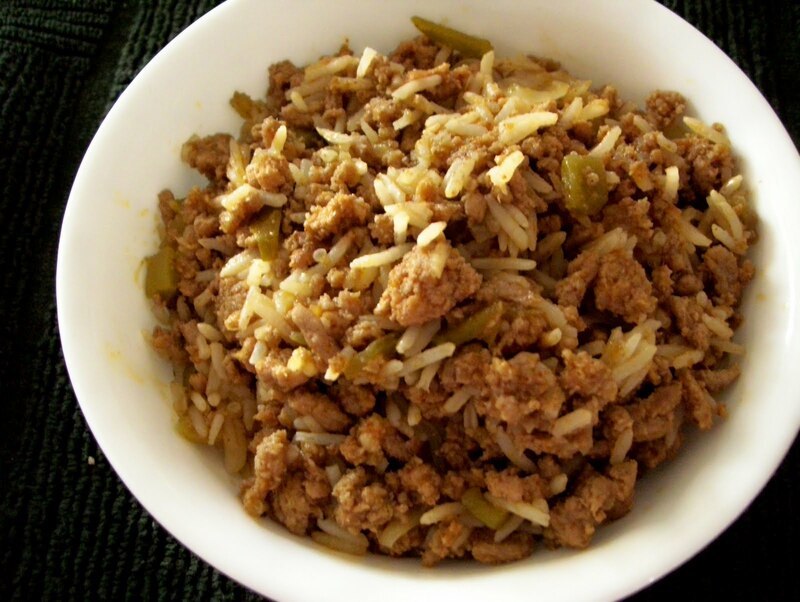 Brown ground turkey in 1-2 T oil in a large frying pan on med-high heat. Stir frequently to brown evenly. Meat should be nicely browned and not burned. Turn burner down to med.-low. Add the rice and mix well. Add the taco mix and stir well; add water, green chilies and sweet onion. Mix to combine evenly. Heat through; remove from heat. Crisp taco shells. To those I add 1 T refried beans and the meat mixture and heat in the microwave on HIGH for 15-30 seconds each. 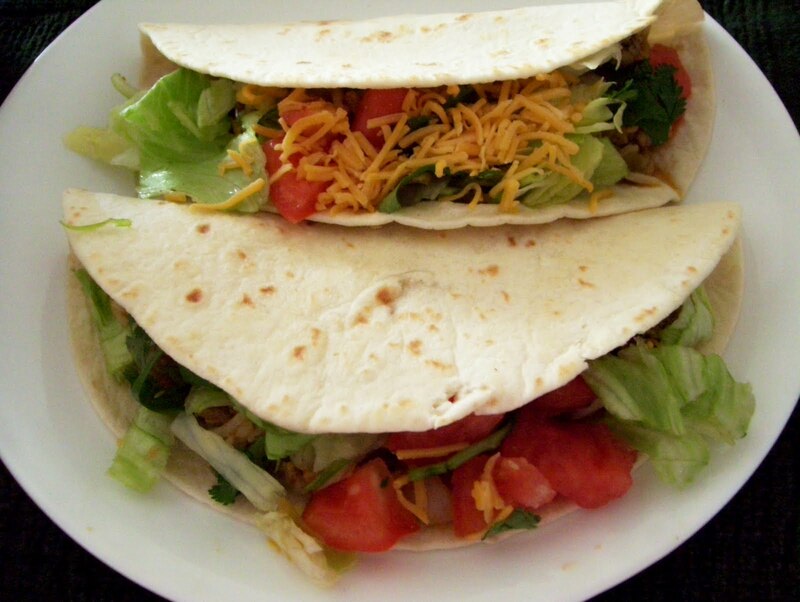 Additional fillings: chopped lettuce and tomato, grated cheese, chopped cilantro, and/or sour cream. What a great meal. Soft taco shells are heated per pkg. directions. I add warm refried beans and the meat mixture to those. Follow with additional fillings as suggested above.